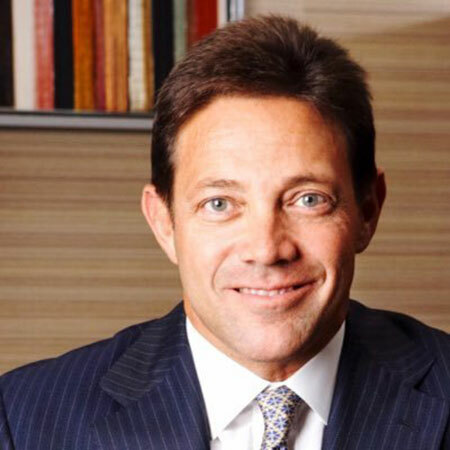 The Wolf of the Wall Street aka Jordan Belfort is a man who amalgamated a staggering amount of money during his time at Stratton Oakmont. But his relationship took an ugly turn due to his professional life. His relationship with his second wife, Nadine Caridi was going pretty good until she filed for divorce due to his illicit affairs and drugs use. Today on this topic, let's find out how the once Wolf married Nadine and know more about their relationship. They say that a woman can change a man's heart, be it tougher than a rock and the same thing happened with the Wolf. Upon his marriage, he changed in a different way. During his peak in the 1990s, Jordan was earning as much as 400 million dollars, adjusted for current inflation. And of course, money got to his head, which led to many failures from his side. His first marriage broke down, and his life was going down the drain until his second wife came to the rescue. True, she wasn't able to hold him down from his antics, but hey, he regrets his divorce so it means something. The couple tied the knot in 1991, after meeting each other at a party. At that time, Jordan was still married to his first wife, Denise Lombardo. Upon divorcing his first wife, he married Nadine. They are the parents of two children, one daughter, Chandler Belfort and one son, Carter Belfort. The duo lived together for more than a decade until they finally decided to call it quits. Nadine was the one who filed for divorce, and the reason for the divorce was Belfort's drug addiction and affairs with females. You May Like: American Author Steve Doocy's Longtime Married Relationship With Wife Kathy Gerrity; How It All Began For The Pair? "My only human contact was my children and my ex-wife. She wasn't vindictive at all [unlike her portrayal in the movie]. At the time [of the split] I thought she was the worst person in the world. But now we can look back with perspective." We all knew that it'll happen sooner or later. After her divorce, Nadine married John Macaluso, a big business tycoon and former CEO of the 'Wizard World'. She currently lives with him along with his children from previous marriage. Jordan is also engaged to long-time partner Anne Koppe since 2015. She is very much in love with her husband as she flaunts with her love. She shared a picture of the two dancing together. Born on July 9, 1962 (age 55), in Queens, New York City, U.S. He is the son of Leah and Max Belfort. He was brought up in a Jewish family. His parents raised him in Bayside, Queens. During his high school days, he along with his friend earned $20,000. He graduated from the University of Maryland School of Dentistry. He started working as a Seafood salesman. He then worked for a broken firm named L.F. Rothschild. He builds his own company named Stratton Securities. He also wrote two memoirs The Wolf of Wall Street and Catching the Wolf of Wall Street. Martin Scorsese made a movie about his life starring Leonardo DiCaprio and Jonah Hill. His net worth is 100 million dollars.